Every day, a new plus size boutique opens up online, and I love it! I really do! However, when headed to your site, there are few things that make me cringe, make me close the window, never to ever check for you again. I know it’s kind of harsh, but first impressions are everything and in order for the shopping and options for plus size fashion to get better, we have to do better! One reason: I want us to do more and be better! A non plus size model. This is really close to home with me… especially as if you check out the comments on my facebook page or on my blog, the call out for visibly plus size models is major! While I may be able to pretend to imagine how something will look on curves given my background, not every woman will. Stock photos are frustrating too… take the time and you will see an amaizing response- a brand to recently benefit from this: Fashion to Figure. Auto Play Music. While I may go to the club in a dress from your line, I do not want to go to the club while I am shopping. And if I cannot find the mute button, I am gone. Chances are I am already at my own club, playing music on my own desktop or laptop. Horrible pictures. If the picture is small and I cannot click to make bigger, if its pixilated, or if the picture only highlights a section of the garment and I cannot see the whole thing? I’m gone. Oh, and if you have done a photoshoot/ look book, make this a separate section on your site. A woman sitting down in a dress does not sell me the dress. Lighting, lack of or overuse of photoshop also falls into this. Poor Styling. Not every item should have me thinking I am at the club, not should I be able to see bras straps, shapers, or anything else that clashes with the featured item. All Flash Everything . While a site can have a few flash elements, not all flash sites play nice in every browser or cell phone. A non professionally designed site. 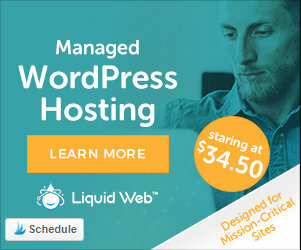 This includes WIX, Vistaprint, or I am sure there are others, but nothing has me doubt the seriousness of your site than a site from these places. You have Big Cartel, Etsy, WordPress.com, and Facebook that offer options to sell your wares through…There are a few bloggers who do this as a full time gig, check out Lianne Farbes, Luvvie, Sarah (huny), and sooo many more! No Social Share buttons. I know it may sound trivial, but this means a whole lot to me, especially if I am on the fence, I will go to my friends and network for help and feedback. I may want to bookmark you, share, or whatever. With the ease of inserting a few lines of code, you can be social! YOUR Social Profile is Unprofessional. What do I mean? I follow you on twitter, Facebook, or wherever and you are constantly talking nasty, talking about people, or talking about how no one supports you. Negative Nancy never motivated me to support you. AND it gives me pause that if I has any type of question, that you would just shut me down or turn around and publicly humiliate me. This is real, please take note, we are watching. No relationships. You are on every group, page, or site over promoting yourself. If I go to your twitter page, all that is there is your site info and no conversation? You are hopping from page to page over promoting your brand without page owner’s permission? Just because you have a store does not mean that people will automatically shop or promote you. Build relationships, engage your audience, and you may learn some valuable gems of business knowledge.Take a note from Monif C, Eloquii, Hips and Curves, Igigi, Ashley Stewart, and Just As U Are for a few ideas! Their social pages (Twitter, Facebook, Blogs) are engaging and involved with their fans and shoppers! It’s not just sale, sell, sale! A bonus one here: Payment and Shipping. If you do not have a verified or secured mode of payment, I am not shopping your site. If you do not offer paypal, I probably will still shop, but will with hesitation. For shipping? If you charge an astronomical fee, OR do not have free returns or take over two weeks to deliver and you are based in the US, chances are i am not shopping with you. Okay… SO I covered my ten reasons why I would NOT shop a certain plus size store or site. While not a single infraction will deter me, especially if design is top notch, but if two or more apply, definitely rethink your approach and strategize! There are so many resources for you to do it big and we really want you to succeed! We just need you to make it work! But I would love to know what other blocks do you have when looking at sites? What turns you off? Make sure you check out the first post I did, on starting a plus size boutique and how to work with bloggers! More jewels to come soon! Marie Denee is a plus size blogger with her MBA in Marketing in which she dedicated to the plus size market. 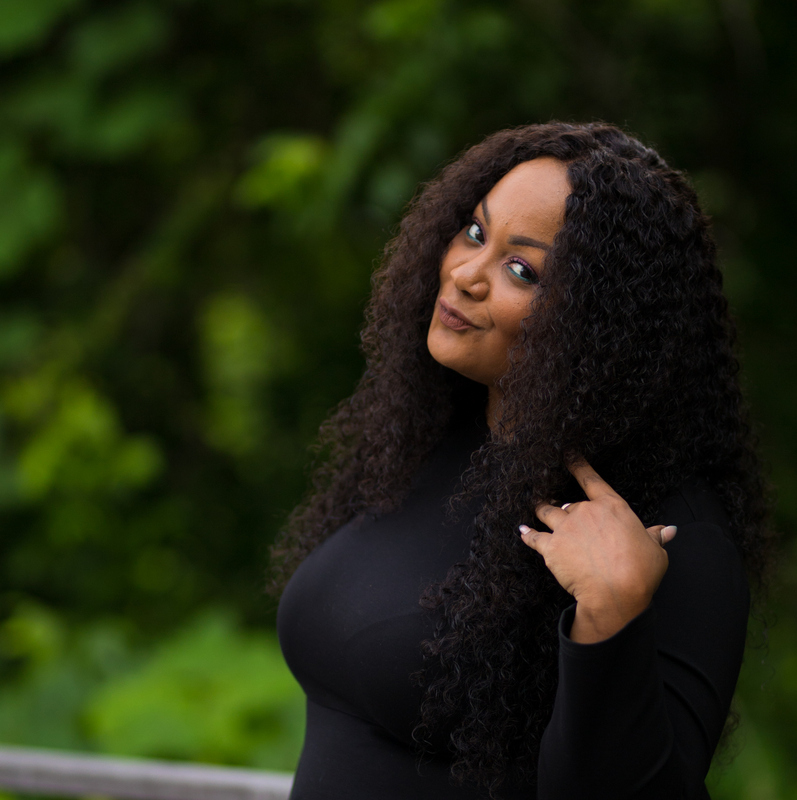 With over 12 years in retail, management, and her life as a plus size woman, she combines experience, passion, and education on The Curvy Fashionista. Even though this article is old, I have to comment because my voice may never be heard otherwise. I will not shop at any online store that will not allow me to zoom in and look closely at the item. There, it felt so good to say it. Thanks for the information… As I’m in the process of starting a plus size clothing boutique, these are fantastic key points that will help me excel im my business. Do you guys agree that most plus size women wants to be comfortable while looking glamorous? These are very good points. The one about the social media accounts reflecting who you really are is especially a good one. I’m not going to support a black owned business who is posting pics of blunts, and talking about how they turn up every night, or use the N word. I use WordPress for my site, and it’s very easy to set up and customize. I’m on Etsy now but I’m looking to move to Bigcartel next year. I’ll definitely keep the tips that apply in mind. Bad styling or over styling is a huge one for me.. I feel too many brands over style their photoshoots which makes it harder for me to envision the item in my wardrobe! i dont like when the clothing only goes up to a 24 but it really fits a 20-22, and when theres no in between with the clothes some sites go from teen plus size club wear to older frumpy looking clothing, i would luv a plus size website that carries a wide range of plus size. I love this article, another one of yours that I read before opening my online boutique and I always refer back to it, just making sure I am going by the checklist. ohh i have another gripe not only am i curvy but i am also short five feet exactly so why arnt they catering to a shorter size or for the tall curvy girls a taller size. not every girl who wheres a size 16-18 is 5″8 or 6″4 and some curvy fashions just looks rediclous to the point it can’t be taylored. design somthing that is age appropriate and has shape, i am still in my twenties and i want something that has a good shape and is young, fresh and flirty i want to wear fashion not wear something that is pretty but resembles a old sack or makes me look like im 40. Okay, okay… I’m guilty. I did start my site on Wix for the cost savings, but now that I have gained popularity locally I am in the planning stages of upgrading my site and making a mobile friendly version. Thank you for your articles for business owners. I too am a plus size woman and was tired of spending hundreds of dollars for items that weren’t of quality. I am looking forward to passing on the savings to current & future customers. Thanks again! i have to add that i hate when there isn’t a size chart! i have to add i have a beef with one of the stores you mentioned — they finally opened a store in my area and the website indicates up to a size 26 is offered. HA. i’m a 3x/22 and not a single thing fit me (and i tried on a variety of clothing that claimed to be a 3x). i’m so glad i never ordered off of the website. Not going past a size 18, 22, or 24 is a pretty good reason not to shop a site. Also, just to add to this, models that aren’t actually fat are a huge turn off for me. What’s more, the models are clearly wearing clothes that are too big for them and they look horrible in them. Or the models are young, but the clothes are matronly and make them look horrible. Do Not Like. VIDEO ADS! I can’t tell you how much I hate going to a site and having it start playing a movie the second the page loads. Even if you CAN turn it off, I usually leave. I also hate pages and sites with lots of pop-up advertising. It’s so 1990 and still just as annoying. Thank you, thank you, thank you! I could not wait to read this article, as a newbie in the industry you are always on the prowl for assistance on making your business the best, besides just having good customer service and cheap prices. I really appreciate your honesty and I know other business owners share gratitude! Wishing you the best and lots of success! This is a fantastic article and I couldn’t agree more. I can’t thank you enough for your blog. It has led me to some fabulous plus size sites that I didn’t even know existed. You are wonderful. Well, dag – tell ’em why you mad! LOL! WOW! Do I love this post! I actually would never have thought of WRITING it — but I ABSOLUTELY think EVERY ONE of those points as I am engaging with new friends and followers on social media especially! I couldn’t agree more! Especially with the auto play music and shady pics of the clothing! I wonder though, in terms of Ashley Stewart, do you find that even though the clothes are cute that they ate cheaply made? It all depends on style, taste, and need for me… I have found items from various retailers that I find cute, but may or may not be executed well! It all depends on what I am looking for! 🙂 I hope this helps! Thanks for the article. The reasons I only reluctantly shop are: poor fit, lack of sales assistance (they don’t understand fit, fabric or style); poor construction/fabric choice (a size 18 plus does not want a light weight jersey or a flimsy chiffon); lack of undergarments that “support” the styling (Spanx is a great idea, but the one time I wore a girdle type bottom, in an effort to support the flimsy jersey pants I wore), I felt like my body was in a vault. Getting in/out of the Spanx was a workout! So…return to a consumer centric approach and I’ll be thrilled to buy. I am happy to help! Thank you so much! For me your points are harsh yet 100% true. As a new plus size boutique e-commerce owner I truly value this information and I thank you for this harsh but true lesson. If you listen you will learn and improve. I know there are some points on your list that I am guilty of so this really hits home for me. I’m listening and learning. It is my goal to provide the curvy women that shop with me the very best experience and service. this gives me the extra added push to do my best and improve my brand. Thank you so much for stopping by and leaving your thoughts! Thank you for the kind words too! Thank you for this post! You’ve written so many of my thoughts out. I want to support a lot of places as well but unfortunately I just don’t feel comfortable spending my money at some places. I’m hoping that this will help quite a few businesses to get everything decent and in order. Thank you sooo much for leaving your thoughts… I think if we speak up and share, this is the only way that we will be able to make advances and changes! I am hoping! 🙂 We shall see!!!! Hello & welcome to my personal and professional side of the internet! Over here, I talk about the business of fashion, blogging, and the plus size industry! Are You Sailing With Us for Our Inaugural TCFCruise? Did You Hear? The TCFStyle Expo is Having a Blogger Mastermind Day! Are You Coming to this year’s 4th Annual TCFStyle Expo? All About My First The Curvy Fashionista Style Expo! Welcome to the home of Marie Denee, the creator of The Curvy Fashionista, the TCFStyle Expo, and the TCFCruise! Keep reading as we share and talk about all things plus size fashion!